Free Delivery - That's right the price you see is the price you Pay with Free Delivery Oz Wide*. Sturdy, no weld frames constructed from high-tensile galvanised carbon steel - corrosion proof for maximum durability. Effective and very safe overlapping enclosure system that is zipper free for longevity. Maximum bounce thanks to an exclusive, durable polyethylene mat design that incorporates a tightly woven weave pattern that's triple stitched with high-tensile, galvanised steel springs. Safety is our top priority - Very dense padding that completely covers both the high-performance springs and the robust frame for complete peace of mind. *Please note all pole padding provided is coloured blue, it will not be visible when net is assembled. What does a Summit Trampoline package include? An Oz Trampolines Summit Trampoline is the perfect package to get started on your very own trampoline. The Summit Trampoline is available in a variety of sizes and colours. Oz Trampolines offers the convenience of layby as an ordering option for customers. Layby orders are placed with Oz Trampolines via our website and customers are required to leave a 10% deposit upon placing a layby order. Layby orders are deemed accepted by Oz Trampolines upon receipt of payment for the deposit. If a deposit payment is not made, layby orders will be automatically cancelled within 7 calendar days. Layby payments can be made over the phone or online through Oz Trampolines " Manage your layby system". Laybys placed with Oz Trampolines require finalisation within 12 months from the date of deposit. What size trampoline should I buy? Oz Trampolines offer a wide range of different sized trampolines. As a general rule we recommend purchasing the largest trampoline that your space and budget will allow. This will ensure that as your children grow they can still get optimum use from their Oz Trampoline. The average Oz Trampoline takes 90 minutes to install. Please refer to your instruction manual or the videos in our support section for guidance. Or feel free to call us on 1300 393 004, if you require assistance. We offer trampoline installation in most areas in Australia. Please contact us on 1300 393 004 to enquire about this service. What is your bounce like? 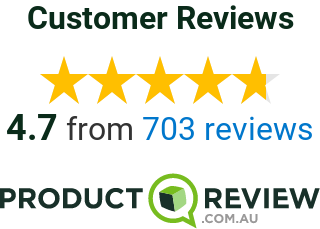 Oz Trampolines have been voted by you as Australia's Best trampoline and we have optimum quality parts and bounce. Our trampolines have all round bounce which means that a young child will be able to create enough bounce to jump and do the basic tricks, and as they get older and heavier they will be able to create more bounce which means they will be able to perform more skilled tricks. How much space do I need around the trampoline? To ensure your trampoline is used safely and securely a minimum of 50cms on all sides of the trampoline is required. For example a 10ft trampoline measuring 305cms wide, requires a minimum of 405cms of space. Why are your nets on the outside of the frame? Our nets are on the outside of the frame for a few reasons. By having our nets outside of the frame we have created a stronger net that lasts longer because it allows the net to be sewn to the sleeves. Having a net outside of the frames creates a larger jumping area. Having a net outside the frame stops people standing around the outside and potentially falling off or getting their fingers pinched in the springs etc. The pads over the springs protect a person if they mistime a bounce.